Having a child that is sick or premature can be a very traumatic roller-coaster ride and this wonderful foundation strives to give families the support and assistance they need. Donate to Life’s Little Treasures Easter Event! Life’s Little Treasures is holding an Easter event on the 3rd of April, 2017 for families who are desperately wanting to take home their sick or premature babies. This is why we are asking for donations including an Easter bunny toy or Easter themed baby bib to gift to these families. If you would like to be involved, Life’s Little Treasures will require these donations by the 1st April, 2017. This means shipping to Life’s Little Treasures yourself, or dropping off your donations to Echidna Sewing no later than Wednesday, 23rd March. 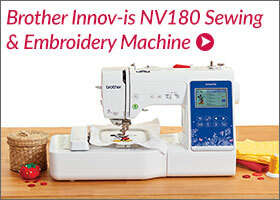 It seems incredible that sewing machinery has been around since the early 1800’s and embroidery technology since 1964. This machinery started off as heavy, complex, incredibly expensive and mostly found in factories. Commercial machine embroidery for high volume orders replaced a much more tedious and painstaking process of stitching by hand. Yet the fundamental principle remains the same: a top and a bottom thread are stitched together over and over again to gradually produce a pattern. We’ve all worn embroidered garments, we have embroidered articles throughout our homes, we decorate and identify ourselves with embroidery. 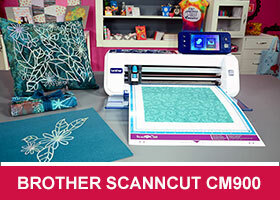 Automated machine embroidery has influenced fashion and décor since its very inception. 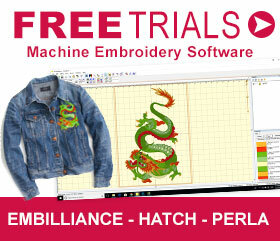 Today, computer technology has put this automatic machine embroidery process within reach of everyone. You don’t even need sewing skills!